Crowd chants for Ishii as the bell sounds. The two exchange words early, then Ishii with gut kicks and chops, but they do not faze Gallows. Ishii with a forearm, but Gallows with a shoulder tackle. Gallows runs into a boot in the corner, but catches Ishii with a slam. Series of elbow drops by Gallows for a nearfall. Elbows and chest clubs to the chest of Ishii by Gallows, followed by a headbutt. Right hands by Gallows, but Ishii shrugs them off and hits a series of chops. Gallows then with a big forearm that knocks down Ishii. Gallows stands on Ishii’s back, then hits a knee to the head. Another right hand, but Ishii fights back with more forearms. Gallows with a knee to the ribs, but Ishii with more forearms. Ishii avoids a head kick and hits a big slap. Ishii treats Gallows to the Violence Party in the corner, then avoids another corner charge. Gallows blocks a suplex and hits one of his own, but Ishii avoids a big splash. Ishii with a clothesline in the corner, then this time hits Gallows with a suplex for a nearfall. Ishii motions for a German, but Gallows blocks it and hits a big throat thrust. Fallaway slam by Gallows, followed by this time hitting the big splash for a nearfall. Gallows with an avalanche in the corner, then goes to the middle rope for a Vader Bomb, but Ishii gets his boots up! Ishii charges in, but Gallows catches him with a head kick. Pumphandle slam by Gallows for a nearfall. Ishii slips out of a slam by Gallows, then blocks a clothesline and hits a release German! Ishii with 2 clotheslines, but Gallows does not go down! Gallows blocks another clothesline with his foot, but Ishii then hits a big clothesline for a nearfall. Gallows blocks another German and hits a throat thrust, then when Ishii shrugs it off, Gallows nails him with a pump kick! GALLOWS POLE!! 1-2….ISHII KICKS OUT!! Gallows calls for the end and goes for another Gallows Pole, but Ishii fights out and hits a big headbutt, followed by one to the neck! Sliding Clothesline by Ishii, but Gallows kicks out! Both block each other’s suplex attempts, then Ishii with an enziguri! Shoving match ensues early, then an overhand chop exchange. They go to a strike exchange, then Tenzan with a series of Mongolian Chops. They go to a Mongolian Chop exchange, Archer gains advantage. Tenzan with a headbutt, followed by more Mongolian Chops. Tenzan with a shoulder tackle, then stomps away at Archer in the corner. Tenzan goes up top for Calf Branding, but TAKA gets on the apron. Ref is with TAKA, allowing Archer to hot-shot Tenzan across the top rope. They go outside and Archer drives Tenzan into the barricade. Archer with a series of back clubs, followed by an overhand chop. Back in, Archer with a shoulder tackle and chokes Tenzan with his boot. Short-arm clothesline by Archer for a nearfall. Camel Clutch applied, with Archer pulling at Tenzan’s face. Crowd wills on Tenzan. Tenzan fights out and hits a series of chops and headbutts in the corner. Archer runs into a back elbow and a boot, then Tenzan avoids a charge and hits a big forearm. TAKA distracts the ref again, but Tenzan knocks him off the apron. Clothesline in the corner by Tenzan, followed by heading up top and hitting Calf Branding on Archer for a 1 count. Archer goozles Tenzan, but Tenzan blocks a Chokeslam with a headbutt. Archer with a facebuster across the knee, but Tenzan catches him off the ropes with the Mountain Bomb for a nearfall. Tenzan heads up top and hits a flying clothesline for a nearfall. Anaconda Vice applied, but Archer BREAKS FREE!! Archer catches Tenzan off the ropes with a side slam, then locks in a Boston Crab, but Tenzan gets to the ropes. Archer off the ropes, but Tenzan catches him with a spinning heel kick for a nearfall. Tenzan goes up top for the Moonsault, but Archer moves out of the way! Archer goozles Tenzan again and this time hits the Chokeslam, but Tenzan kicks out! Archer can’t believe it! They go up top, but Tenzan blocks a superplex and headbutts Archer off the ropes. Archer comes back with a running boot, then brings Tenzan out of the corner. Crowd chants for Kojima as the bell sounds. Smith backs Kojima into the ropes and shoves him. Smith drives Kojima’s arm across his own shoulder, but Kojima reverses out into a side headlock takeover. Smith counters out with a headscissors, Kojima with a kip-up, we have a stalemate. Kojima with a side headlock, but no one goes down off a shoulder tackle multiple times. Smith then with a shoulder tackle. Kojima catches a running boot and hits a series of elbows to the leg, followed by a shoulder tackle. Smith with a gut kick, then sends Kojima to the outside. Smith sends Kojima into the barricade multiple times. Smith goes to the apron, but Kojima sweeps out his leg. Both are on the apron now and Kojima hits Smith with an APRON DDT!! Back in, Kojima with a series of strikes, but Smith blocks an Ace Crusher and pulls at Kojima’s face. Knee to the ribs, followed by a side slam by Smith. Smith taunts the crowd, then hits a kick to the ribs of Kojima. Uppercut by Smith, followed by a one-armed delayed suplex for a nearfall. Seated surfboard applied, Kojima gets to the ropes. Kojima avoids a running knee in the corner by Smith and hits the rapid-fire chops. Running elbow in the corner by Kojima, then he heads up top. TAKA gets on the apron, but Kojima knocks him off and hits a top rope elbow drop on Smith for a nearfall. Strike exchange, Kojima gains advantage, but Smith blocks a rolling elbow with a knee to the ribs. Butterfly by Smith for a nearfall. Kojima blocks a Saito with elbows, then hits a rolling elbow, but Smith hits a leaping knee, followed by this time hitting the Saito for a nearfall. Smith locks Kojima in the Sharpshooter, but Kojima gets to the ropes! Kojima blocks a clothesline and clotheslines Smith to the outside. Kojima goes outside and gets Smith back in, then hits an Ace Crusher for a nearfall. Smith blocks a clothesline, but Kojima with a left-arm lariat for a nearfall. Smith blocks a suplex and hits a knee to the ribs. Smith goes for the Bulldog Bomb, but Kojima slips out, hits a kick to Smith’s leg and hits a basement DDT. Off comes the elbow pad, but TAKA distracts Kojima, allowing Smith to nail him from behind. Tiger by Smith for a nearfall. Kojima hits the Lariat, but Smith comes back with a powerslam! Yujiro attacks Suzuki as the bell sounds. Snapmare and a sliding kick by Yujiro, then taunts the crowd. Yujiro chokes Suzuki with his boot. They go outside and Yujiro sends Suzuki off the apron, then into the barricade. TAKA nails Yujiro from behind, allowing Suzuki to grab a chair and nail Yujiro in the back with it multiple times. Suzuki with a series of knee strikes, then sends Yujiro into the barricade. Suzuki places Yujiro’s head in one of the barricade bars and locks him in a chinlock. Back in, Suzuki with a chinlock to Yujiro in the ropes. Suzuki has words with the ref, allowing Yujiro to fight back, but Suzuki with a knee to the ribs. Overhand chop, a knee to the ribs, a forearm and a headbutt by Suzuki. Yujiro comes back with a series of slaps and forearms, but Suzuki catches a kick, takes down Yujiro and applies a leglock. Yujiro tries to crawl to the ropes, but Suzuki brings him back to the center. Yujiro almost reaches the ropes, but again Suzuki pulls him back to the center. Yujiro finally reaches the ropes, forcing Suzuki to break the hold. Yujiro with a gut kick, but Suzuki blocks a suplex and applies a facelock, but Yujiro counters out with a Brainbuster! Chop exchange, Yujiro gains advantage. Suzuki comes back with a series of overhand chops, but Yujiro rakes the eyes and hits chops & back elbows in the corner. Running boot in the corner by Yujiro, but Suzuki rakes his eyes when going for a neckbreaker. Yujiro with a gut kick and paintbrushes Suzuki, but Suzuki fires back with a big slap! Knee to the ribs and a running boot in the corner by Suzuki. Snapmare, but Yujiro catches a PK and again rakes the eyes. Suzuki goes off Yujiro’s blind side and locks in a Sleeper, but Yujiro counters out with a Backdrop Driver for a nearfall. Suzuki avoids one clothesline by Yujiro, but Yujiro hits a second clothesline for a nearfall. Yujiro goes for Miami Shine, but Suzuki fights out and hits the rapid-fire slaps, followed by a running boot. Anderson throws his water bottle at Yano and attacks him as the bell sounds. Anderson stomps away at Yano, then puts on Yano’s ring jacket and mocks Yano with his famous mannerisms. Yano rakes the eyes, but Anderson with a dropkick and again mocks Yano. Yano tries to remove the padding in one of the corners, but Anderson stops and does it himself. Anderson sends Yano into the exposed corner, then blocks a low blow. Anderson sends Yano to the outside and again mocks Yano. Anderson continues to mock Yano and sends him into the barricades. Back in, Anderson gains a nearfall. Yano again sent into the exposed corner as Anderson is enjoying himself. Anderson again sends Yano into the exposed corner, then applies a chinlock with his knee driven into Yano’s back. Anderson with a series of uppercuts, then blocks being sent into the exposed corner. Anderson avoids a charge, sending Yano back into the exposed corner. Anderson charges in, but Yano drop toe holds Anderson into the exposed middle turnbuckle! Roll-up by Yano for a nearfall. Anderson with a series of forearms, but Yano grabs Anderson’s ears and takes him down. Yano does his taunt, but Anderson catches him with a spinebuster. Anderson again mocks Yano and checks to see if his ears are OK. TKO by Anderson for a nearfall. Anderson sets for the Gun-Stun, but Yano blocks it and catapults Anderson into the exposed corner! Yano goes for Oni Koroshi, but Anderson slips out and hits a big slap. Anderson avoids a low kick and hits a forearm to the back of Yano’s head. Anderson goes again for the Gun-Stun, but Yano slips out and sends Anderson into the ref. Anderson uses the ref as a shield to avoid being hit with a low blow by Yano, then sends Yano into the ref, but Yano with a low kick as the ref was trying to remove himself from Yano’s grasp! Yano hooks Anderson in Urakasumi for the win. Crowd chants for Shibata as the bell sounds. Chain wrestling early until Benjamin backs Shibata into the ropes and shoves him. More chain wrestling until Shibata backs Benjamin into the ropes and shoves him back. Shibata with a side headlock, then holds on when Benjamin tries to Irish whip out. Benjamin gets free with a gut shot, then goes for the Ankle Lock, but Shibata quickly gets to the ropes. Benjamin with a knee to the ribs, then they exchange strikes. Shibata with a series of leg kicks, but Benjamin catches one and hits a spinebuster. They go outside and Benjamin SWINGS SHIBATA REPEATEDLY INTO THE BARRICADE!! Benjamin gets back in and the ref begins his 20 count. Shibata just BARELY gets back in by the 20 count. Benjamin stomps away at Shibata, then whips him hard into the corner. Benjamin makes a cover, but Shibata gets his foot on the ropes. Benjamin drapes Shibata across the middle rope and hits a knee drop to his back. Shibata fights back, but Benjamin with a snap suplex for a nearfall. Sleeper with a body scissors applied by Benjamin, Shibata gets to the ropes. Benjamin with the Stinger Splash in the corner, then makes another charge, but Shibata catches him with a flying knee. Strike exchange, Shibata gains advantage and unloads with uppercuts and forearms to Benjamin in the corner. Shibata charges in and hits the hestitation dropkick in the corner on Benjamin! Butterfly by Shibata for a nearfall. Benjamin comes back with a forearm, followed by the Dragon Whip on Shibata for a nearfall. Benjamin with a delayed Butterfly for a nearfall. Shibata blocks a superkick and they exchange strikes again, with Benjamin gaining advantage, but then Shibata DRILLS Benjamin with a spinning back chop to Benjamin’s neck! Shibata goes for Go 2 Sleep, but Benjamin counters out into the Ankle Lock! Crowd wills on Shibata, who is able to reach the ropes. Benjamin with a knee strike, but Shibata slips out of a suplex and hits a release German. Shibata goes for the PK, but Benjamin avoids it and hits a superkick! Benjamin with another superkick, but Shibata avoids Paydirt and locks Benjamin in a Sleeper! Benjamin drives Shibata into the corner to get free, but Shibata avoids another Dragon Whip and locks Benjamin back in the Sleeper. Ref checks the arm three times and Benjamin still shows signs of life. Chain wrestling early, Goto gets to the ropes. Styles with a back heel trip and elbow drops Goto’s leg. Styles locks in a leglock, but Goto counters out with a headscissors, Styles reaches the ropes. Styles with a side headlock takeover. Goto counters out with another headscissors, then turns to his belly to put more torque on the hold. Goto gains a nearfall, Styles rolls out to the outside to regroup. Back in, Goto with a side headlock, then maintains the hold when Styles tries to Irish whip out. Goto takes Styles down in the side headlock, then hits a shoulder tackle. Styles avoids an elbow drop, then Goto avoids Styles going up & over, but Styles slips out of a release German. Styles with a series of chops, but Goto avoids a corner charge and hits a hiptoss, followed by a sliding forearm that sends Styles back to the outside to regroup. Styles plays cat & mouse with Goto, but Goto catches him on the apron. Styles then hot-shots Goto across the top rope, followed by a slingshot elbow drop. Delayed suplex by Styles, then hits a series of shoulders to the ribs of Goto in the corner. Styles with a flying clothesline in the corner for a nearfall. Styles with a kick to the ribs, then locks Goto in the bridging Indian Deathlock. Styles traps Goto’s arm from trying to reach the ropes, but Goto is still able to do so, forcing Styles to break. Series of elbows to the back of Goto’s head by Styles, but Goto with a series of overhand chops and forearms. Styles comes back with the Phenomenal Dropkick. Chinlock applied. Goto fights back, but Styles with a knee to the ribs and a kick to the back. Goto fires up and asks Styles for more. Styles with a series of forearms, but Goto goes off his blind side and hits a clothesline. Goto with a series of forearms, followed by a spinning heel kick in the corner and a Backdrop Driver for a nearfall. Styles slips out of Ushikoroshi by Goto, then hits a belly-to-back sit-out facebuster for a nearfall. Styles goes for the Styles Clash, but Goto blocks it. Styles with a series of back clubs, then they head up top. Goto blocks a superplex and knocks Styles off the ropes, but Styles crotches Goto on the ropes. Styles goes back up with Goto, but Goto again blocks a superplex. TOP ROPE CODE RED BY GOTO!! 1-2….STYLES KICKS OUT!! Goto goes for Shouten Kai, but Styles slips out. Goto misses a clothesline, PELE KICK BY STYLES!! Styles with a series of forearms, but Styles avoids 2 clothesline attempts by Goto and hits a series of strikes. Goto catches Styles off the ropes, USHIKOROSHI!! Styles again slips out of Shouten Kai, BLOODY SUNDAY!!! Styles calls for the kill shot. Crowd chants for Tanahashi as the bell sounds. Fale backs Tanahashi into the ropes and pulls his hair. Tanahashi avoids a gut shot, but Fale shoves him down. Test of Strength, Fale gains advantage. Tanahashi gets out and locks in a side headlock. No one goes down off a shoulder tackle, then Tanahashi with a drop toe hold and a basement dropkick. Tanahashi stands on Fale’s back and sends him to the outside. Tanahashi goes for a slingshot plancha, but Fale pulls him out to the outside and hits a series of gut shots. Fale sends Tanahashi into the barricade, then menaces Jado & Gedo, who are on commentary. Fale with a clothesline to Tanahashi on the outside. Back in, Fale stands on Tanahashi’s back and rakes his boot against the back of Tanahashi’s head. Fale does it again, then hits a slam for a nearfall. Fale presses his knee against Tanahashi’s back and locks in a chinlock, while pulling at Tanahashi’s hair. Fale with a series of elbow drops to Tanahashi’s back, then locks in a Camel Clutch. Fale releases the hold and gains a nearfall. Tanahashi fights back, but Fale with a big forearm. Fale with a series of gut shots in the corner, followed by a series of crossface shots to the neck. Fale chokes Tanahashi with his boot in the corner. Tanahashi avoids a corner charge by Fale and hits a series of gut shots and uppercuts in the corner. Tanahashi with a dropkick to Fale’s knees, followed by a Dragon Screw. Fale blocks a slam by Tanahashi with a series of back clubs, but Tanahashi slips out of a slam and hits an Old School Explusion for a nearfall. Tanahashi goes for the Slingblade, but Fale with a shoulder tackle. Fale with an avalanche in the corner, followed by a big splash for a nearfall. Fale goes for the Grenade, but Tanahashi fights out. Tanahashi skins the cat back in, then headscissors Fale over the ropes and to the outside. Tanahashi heads up top, HIGH FLY FLOW CROSSBODY TO FALE!! Ref begins his 20 count and they get back in by the count of 17. Fale blocks a German, but misses a clothesline and Tanahashi this time hits the Slingblade. Tanahashi heads up top for High Fly Flow, but Fale GOOZLES HIM ON THE WAY DOWN!! GRENADE!! 1-2…TANAHASHI KICKS OUT!! Tanahashi slips out of the Bad Luck Fall, but Fale catches him with a Samoan Drop. Nakamura with a leg kick early. Nakamura backs Honma into the ropes and rubs his face against Honma’s stomach, but Honma grabs him and hits a series of chops. Back elbow and a slam, but Nakamura with a knee to the ribs. Honma with another slam, but Nakamura avoids the falling headbutt. Honma avoids a head kick and hits a shoulder tackle that sends Nakamura onto the apron. Nakamura with a kick from underneath, then places Honma across the apron and hits a running knee to the ribs. Nakamura goes onto the apron and hits a knee drop across Honma’s back. Back in, Nakamura kicks at Honma, but Honma fights back, although it has no effect on Nakamura. Nakamura with a chest kick, a snapmare and a leaping knee drop for a 1 count. Nakamura then mocks Honma with a falling knee drop. Series of knees to the ribs by Nakamura in the corner, then he does the shaky boot dealy-a-bob. Nakamura charges in, but Honma TURNS NAKAMURA INSIDE OUT with a clothesline! Honma with a series of chops, followed by a running elbow and a bulldog. Honma off the ropes and this time hits the falling headbutt for a nearfall. Nakamura with a knee to the ribs, Honma avoids another head kick, but Nakamura hits a back heel kick. Series of chest kicks by Nakamura, followed by an enziguri. Nakamura places Honma across the top rope and hits a running knee to the ribs for a nearfall. Nakamura with a front facelock applied, but Honma blocks a reverse suplex and SPIKES Nakamura with a DDT. Basement Blockbuster, followed by a Piledriver by Honma for a nearfall. Honma goes for the Pillar Crash, but Nakamura slips out and locks in a Sleeper. Honma fires out, but Nakamura with a backstabber, followed by a reverse suplex. Nakamura goes for the Boma-Ye, but Honma counters it with a flying shoulder tackle. Brainbuster by Honma, but Nakamura kicks out. Honma heads up top for Kokeshi, but Nakamura moves out of the way! Strike exchange, Nakamura gains advantage, but Honma with a big slap. Nakamura with a Superman forearm, but Honma with a headbutt. Another headbutt by Honma, but Nakamura blocks a clothesline. Nakamura goes to the middle rope, 2ND ROPE BOMA-YE!! Nakamura goes again for the Boma-Ye, but Honma counters with a running roll-up for a nearfall. Nakamura fights out of the Honma Clutch, but Honma with another headbutt. Nakamura hits another enziguri, BOMA-YE!! 1-2…HONMA KICKS OUT!! Dueling chants for both men as the bell sounds. Chain wrestling early, Naito gets to the ropes and Okada shoves him. Series of evasions, then Naito hits a dropkick. Snapmare into a chinlock by Naito. Naito with a series of forearms in the corner, but Okada with some of his own. Naito with a big forearm, followed by a series of stomps. Okada catches a kick, places Naito up top and hits the Picture-Perfect Dropkick that sends Naito crashing to the outside! Okada places Naito in one of the barricade bars and pulls back on his head. Okada then with a kick to the barricade while Naito’s head was still inside the bar. Back in, Okada with a front slam, followed by a slingshot senton bomb for a 1 count. Okada stomps away at Naito in the corner. Naito fights back, but Okada with a knee to the ribs. Snapmare, followed by a sliding dropkick by Okada. Okada SPIKES Naito with a DDT for a nearfall. Okada with a series of back elbows to Naito in the corner. Naito avoids a corner charge, but runs into a boot by Okada. Naito catches double boots in the corner by Okada and hits a draping neckbreaker. Naito with a hiptoss, followed by a sliding dropkick. Snapmare, followed by a running senton. Naito heads up top and hits a missile dropkick to Okada. Naito with a running dropkick in the corner, then goes for the slingshot dropkick, but Okada catches him coming back in and hits the Emerald Frosion across the knee! Okada with a slam, then heads up top and hits the top rope elbow drop. Okada goes for the Rainmaker, but Naito avoids it. Naito slips out of Heavy Rain, uses the ropes as a spring and hits Okada with a Tornado DDT. Naito with another running dropkick in the corner, then this time hits the slingshot dropkick from the apron. They head up top and Naito hits a Super Rana on Okada. Naito with a German on Okada for a nearfall. Naito goes for Gloria, but Okada blocks it. Naito with a big slap, but Okada avoids a flying forearm and hits the Picture-Perfect Dropkick to the back of Naito’s head! Okada lifts up Naito and hits the Tombstone! Okada goes again for the Rainmaker, but Naito avoids it and hits an enziguri, followed by a release Dragon that drops Okada RIGHT ON HIS HEAD!! Strike exchange, then Okada with a series of uppercuts. Naito comes back with the flying forearm, then avoids a clothesline, but Okada hits the Picture-Perfect Dropkick! Okada again goes for the Rainmaker, but Naito counters it with a T-Bone!! Another enziguri by Naito, followed by a slam. Naito heads up top, STARDUST PRESS!!! 1-2-3! 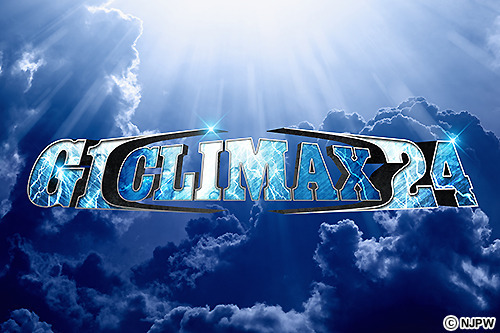 Check back later today for a recap of Day 6 of the 2014 New Japan G-1 Climax right here on Wrestleview.com. Til then, remember, PURORESU ICHIBAN!!! Listen to podcasts reviewing New Japan and more at http://www.radioinfluence.com.